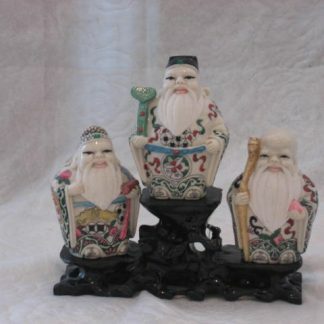 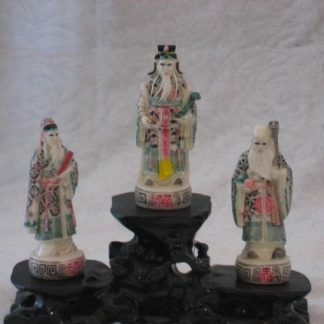 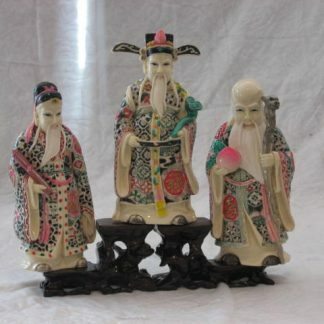 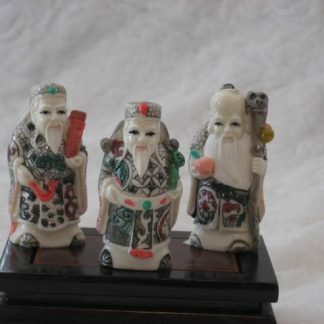 Three Gods (the three star-gods: God of Health; God of Wealth; God of Luck). 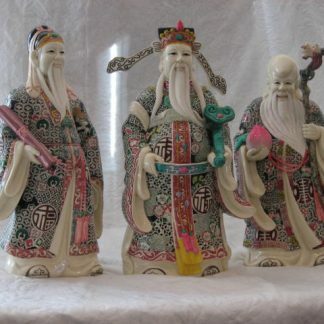 Chinese believe they bring harmony to the household. 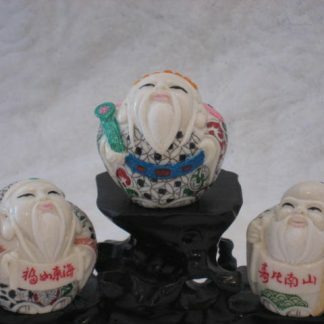 God of Health (known as God of Longevity); in every case he appears as a gentle, smiling old man with white hair; often holding a peach, a dragon-staff and a gourd. 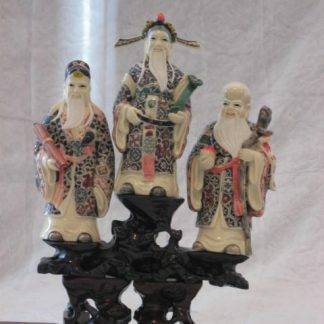 God of Wealth appears in rich official robes and cap, carrying a RuYi (in English known as a magic wand) which symbolise the idea of ‘according to your wishes’ or ‘may you have all you need or want’. 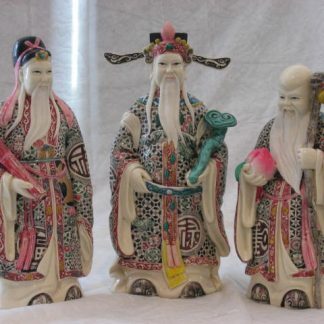 God of Luck appears in normal official robes along with the other two stars (the Gods of Wealth and Health): he appears holding a child or a scroll, to symbolise bringing happiness in to the family.